Could Crowdfunding Costs Lead To Sketchy Medicine? You may have seen them before in your social media feeds—a link to a crowdfunding site asking for donations to help offset the costs of medical treatment. While those campaigns can help raise needed funds in cases where a patient doesn’t have adequate insurance or their resources are exhausted, a new study has found they can also lead to dubious medical treatments. Writing in The Journal of the American Medical Association, Dr. Ford Vox of the Shepherd Center and colleagues report that when they combed through several crowdfunding sites, they found lots of money being donated in support of several scientifically unsupported, ineffective, or potentially dangerous medical treatments. Over a two year span, for instance, over $3.4 million dollars was raised via crowdfunding for homeopathic or naturopathic treatments for cancer. Additionally, over $1.2 million was raised for unproven, potentially dangerous stem cell treatments for brain injury. In total, the five dubious treatments the team investigated raised almost a quarter of the money they sought. Dr. Vox joins Ira to talk about the research, and possible ways to point crowdfunded medicine in a more scientifically-backed direction. Read Gizmodoon this story‘s report . Ford Vox is Medical Director for the Disorders of Consciousness Program and Chair of the Medical Ethics Committee at the Shepherd Center in Atlanta, Georgia. IRA FLATOW: Now it’s time to play Good Thing Bad Thing. Because every story has a flip side. It’s become a common sight on social media. You’re scrolling along, and you see a post asking for donations to support some kind of medical treatment, often because a person doesn’t have insurance or they’ve exhausted their resources. These crowdfunding campaigns can raise a substantial amount of money. But are there ethical concerns? Joining me now to talk about the good and bad of crowdfunding medical treatment is Dr. Ford Vox. He’s medical director of the Disorders of Consciousness Program and chair of the Medical Ethics Committee at the Shepherd Center in Atlanta, Georgia and co-author of a short research letter on medical crowdfunding published this week in the Journal of the American Medical Association. He joins me by Skype. Welcome to Science Friday. FORD VOX: Hey, good afternoon, Ira. IRA FLATOW: Good afternoon to you. 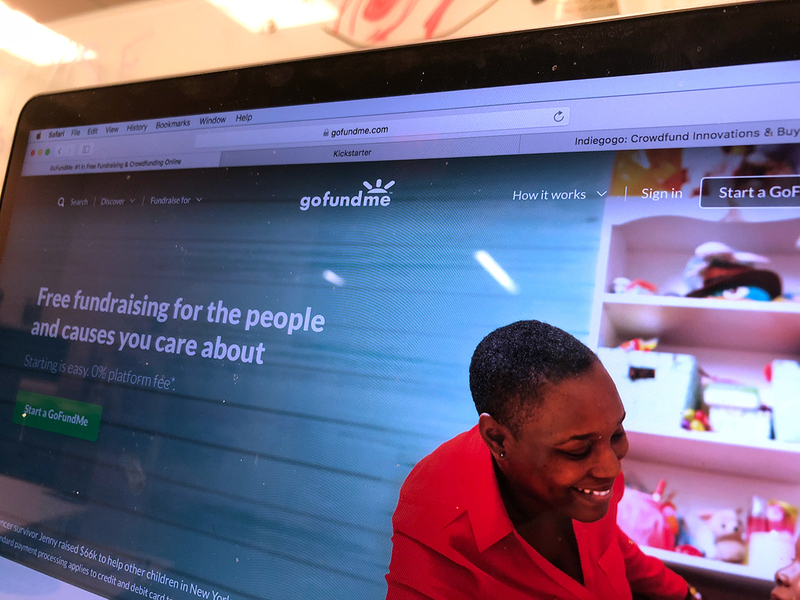 These crowdfunding campaigns can help bridge the gap financially for people facing expensive medical treatment. But what’s the downside to this? FORD VOX: That’s right. So the downside is what are people going to be raising money for? You know, we certainly hope that it’s true insurance gaps, of which there are a lot. There’s a lot that insurance doesn’t cover that maybe it should, extra added costs, and people are off work, and important equipment, and so forth. But what’s potentially dangerous is what you’re raising that money for. It might be something that’s not evidence-based that could be dangerous. IRA FLATOW: Some sketchy kind of treatment, something like that? FORD VOX: That’s right. And what we focus in on this paper. We looked at five diverse, different so-called sketchy treatments, some of the most dangerous ones being stem cells implanted into the central nervous system, people raising money to get this done down in Mexico, fly to China, some procedures here in the United States as well, and a variety of other things also that are not FDA-approved, potentially highly dangerous. And people, in their generosity, are donating to these campaigns because folks are desperate, and they want to help out individuals, but not really realizing that you could be causing them some real harm. IRA FLATOW: You could be. All right, how much money are we talking about here? FORD VOX: So crowdfunding in and of itself is– just $8 billion has been raised so for on GoFundMe alone. And medical crowd funding is the single largest segment of that. As far as the problematic campaigns, I can’t say for sure, because we just selected kind of a representative sample of five and took a snapshot of the activity. We found folks trying to raise about $27 million for five of these shady treatments. And they raised just over $6 million. IRA FLATOW: You know, some people would say, what’s the problem here? These patients have a right to try and seek their own cures, try new treatments if others have not worked for them. FORD VOX: You’re right. And that’s kind of a libertarian point of view. And it does exist. However, this is a little bit different transaction than you kind of pulling that out of your own bank account or just your own close family or friends. Now third-party is involved. And you’re potentially causing harm to yourself. And that is largely GoFundMe, but the other platforms as well. And so they do now have an ethical duty in that transaction. IRA FLATOW: Is there any way to know if you see one how to find out on your own whether this thing is worth crowdfunding for you? FORD VOX: There is not, and there should be. And that’s part of the critique that we outline. We think that it’s the duty of the sites to perhaps filter out some of these campaigns, refer them on up to humans to interpret a bit. They could have, for example, kind of a medical panel to look at it. They could refer people with certain key words to the appropriate information on the NIH website or other reputable websites, for example. But you really just have to be an educated consumer. And that’s part of what’s the danger of these campaigns is they represent people going around kind of standard hospitals and clinics and physicians who are trying to help people and prevent them from harm and access the treatments that they need, balancing the evidence. IRA FLATOW: Well, we’ve run out of time. Thank you for making us an educated consumer, Dr. Vox. Dr. Ford Vox, chair of the Medical Ethics Committee at the Shepherd Center in Atlanta, Georgia.